WE Magazine for Women is Looking for WOMEN BUSINESS OWNERS! Women in Business Interviews began during Small Business Week 2009. 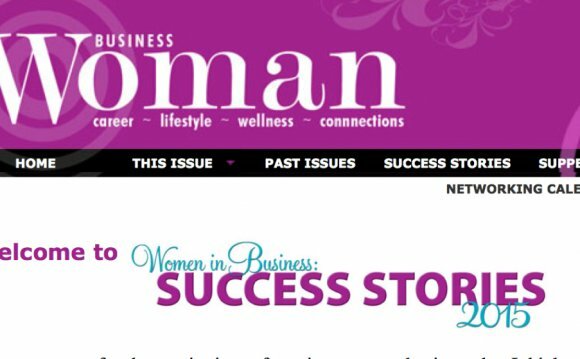 Although WE Magazine has featured Women Business Owners in the past, Small Business Week was the impetus to create a new Channel on WE. WE are looking for women entrepreneurs who have owned their own company for at least 1 year and have a story to share. These companies can be located anywhere in the world as long as they are at least 51% woman-owned enterprises. If you are a woman business owner or know a woman in business who should be featured, be sure to let us know. In fact, we are making it easy for you to cut and paste the interview questions and criteria into an email and respond. Here are the questions for the Woman in Business Interview. Feel free to answer them, and send your responses to Heidi (at) WEMagazineforwomen.com with “Women in Business Interview” in the subject line. In addition to the interview responses (please keep questions intact and include in the BODY of the email), send either a *LINK to your photo or as a jpeg or gif attachment. Do not send the interview as an attachment. All attached documents are discarded. Photos are accepted as an attachment or a link. Be sure to read the Women in Business Interviews to see the format and type of information we are interested in. PLEASE INCLUDE ALL SOCIAL MEDIA LINKS IN YOUR RESPONSES INCLUDING REACH (number of followers for each channel). Each woman WE feature, WE follow and post feature to our social media channels (total reach 32K+). What’s the best way for the readers of WE Magazine for Women to connect with you (feel free to include the links to your social networks and websites)? When submitting your responses, please include a jpeg photo of you in the same email. We prefer action photos to glamour shots. If available, feel free to send more than one picture especially one of you at work or play! Note: we reserve the right to delete or not accept any interviews we feel are not relevant or inappropriate to our target audience. Incomplete interviews will also be discarded.